When was the last time you played like a child? Maybe you were playing with lego with your niece, or maybe you were playing Trivial Pursuit with a group of friends. However you played, I bet you had fun and learned loads. The past month I’ve had some fun learning experiences through interesting games. It started with a zombie run (check out 2.8 hours if you’re curious) which was in effect a treasure hunt combined with a game of tag combined with zombies – it was so much fun! Last weekend I joined a birthday party at a table tennis bar in London – and I had so much fun playing the night away! These events reminded me of the fact why learning through play is so effective and entertaining. It’s widely accepted that children do a lot of learning through play – but somehow most of society has adopted the view that adult learning has to be super serious. How many times have you sat in a corporate training that made you doze off because of the endless slides and talking the trainer was doing? What about all those times at university when you were trying to stay focused after the 6th hour in the classroom but the monotonous tone of the professor simply made it impossible to engage with the topic? It’s about time we acknowledged how adults should be learning through play too – not only because it’s more fun but also more effective. Here’s why. You learn better when you’re having fun. When you’re having fun, you boost your positive emotions which activate the learning centres in your brain. That means you are connecting with more of the brain power you have and hence you’ll be more alert in noticing new things and learning through them. When you’re having fun, you’re also much more creative and innovative which means you’ll be able to engage with whatever you’re learning through coming up with new ideas as well as challenging things. You develop social skills when learning through play. Whether you’re playing in a team strategising how to make your best play, or whether you’re playing one-to-one, you develop your social skills through play. You learn to talk to yourself in a more positive, motivating manner, as well as more effectively communicate with others. Simply being with others when playing, and watching how others approach the same game, is a learning experience in itself. You learn more effectively through some healthy competition. Often when you play (be it sports, board games or an office competition), there is a bit of healthy competition in there. 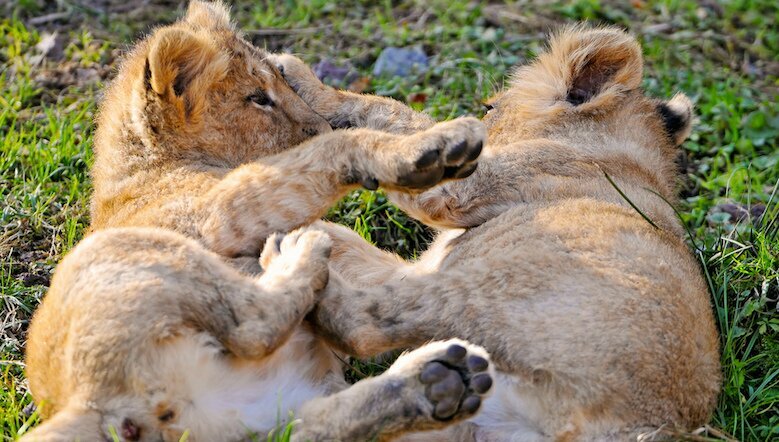 As long as the competition is one of childlike innocence (rather than conquer and crush), it boosts your happiness levels as well as your performance. It can also strengthen the bond you have with the people you play. You are encouraged to look at things from a new angle. When you are exposed to learning something from a completely different perspective – such as using improvisation classes to improve your presentation skills – you really take learning to a whole new level. You see things you would’ve never noticed in a traditional ‘presentation skills’ class and in the long-term they can help you stand out from the crowd. Playing outside boosts your creativity. Completely taking yourself outside your usual environment also helps broaden your mind and immediately makes you more receptive to learning. Especially if the playing involves going outside in the fresh air and moving around. All of this naturally boosts your creativity whilst improving your concentration and making you feel happier – all of which further boost your learning! 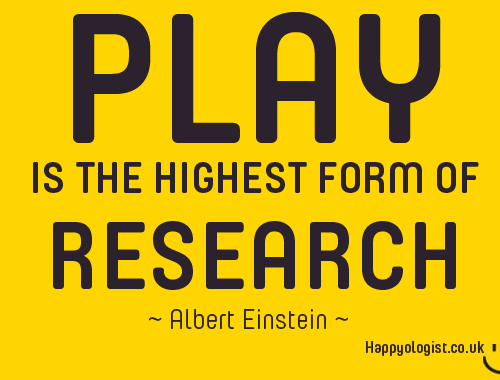 You can even test this learning through play theory yourself in your daily work. How about you give yourself a deadline to leave work by a certain hour every day, and every day you make that deadline, you give yourself a golden star? And when you have collected a certain number of golden stars, you reward yourself with some kind of incentive, like a yummy piece of chocolate cake? Or what about incorporating play into your existing status meetings by asking everyone to give their updates in 3 minutes or less? That way you’re also educating them to think about how to communicate more effectively with less words – quality over quantity! Now I would love to hear from you. How do you – or could you – incorporate play into your daily work? Please leave your comments below – I promise to respond to each & every one! I wish you amazing adventures & until next week! So glad to hear it was helpful Kate – and what a fun topic for a persuasive writing sample! Glad to hear you’re also enjoying hanging out with your toddler and teenager – sounds lovely! Thanks for the post. I’d love to see the science backing these wonderful claims so I can share. Post sources in comments, maybe?